Because of its proximity, Hong Kong is often the first foreign country visited by many Filipino families together. 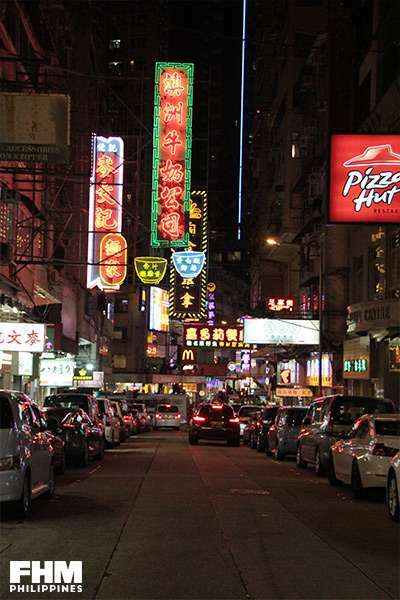 It is a shopping haven for most, but HK is also a great hub to experience a great vacation. The country is a harmonious home to both traditional and urban settings, and can be a sweet escape for those who know where to go and where to look..
Disneyland is not just for kids, now that it’s opened the first ever Marvel-themed attraction! Here's what’s in store for everyone who has sworn allegiance to Team Iron Man: A 3-D ride that lets you take a glimpse of HK’s skyline while fighting Hydra, Iron Man in the full suit, and the Stark Expo. Be sure to ride the Star Wars Tomorrowland takeover of the Hyperspace Mountain—a roller coaster ride in the dark. Admiral Raddus speaking at the beginning of your space adventure in hyperdrive will make you feel like a real Rogue One X-wing pilot going on a mission. 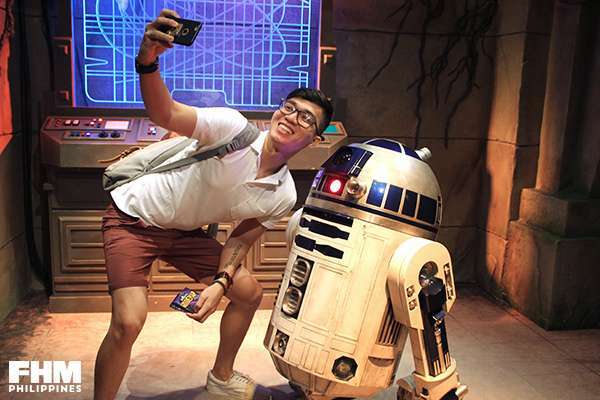 Get to meet R2-D2 and Chewie in the flesh, too, then cap off your intergalactic experience with some Star Wars ice cream cones! As if Tomorrowland’s Buzz Lightyear Astro Blaster ride isn’t fun enough, Disneyland developed a new area just for Toy Story fans—and it will make you nostalgic. Humungous colored LED lights and wooden toy blocks that decorate Toy Story Land will definitely make you feel like a child again, not to mention, like one of Andy’s toys. Play a mini game with your friends and family as you go around the theme park, too! Look for Disneyland staff members and ask for collectible stickers as you wait in line or go around the park. They give away the cutest Tsum Tsum character stick-ons that can pass as great pasalubong! 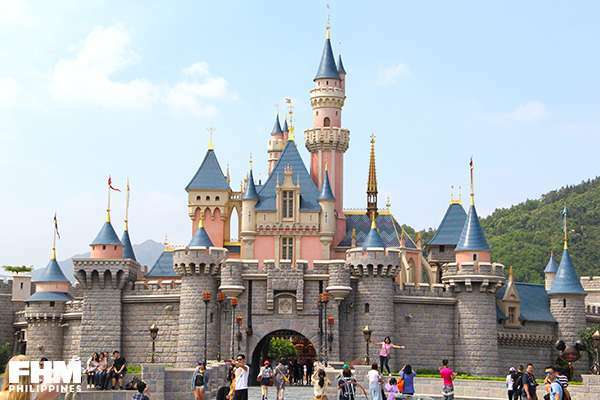 Your trip to Disneyland will probably be the most expensive part of your HK vacation. 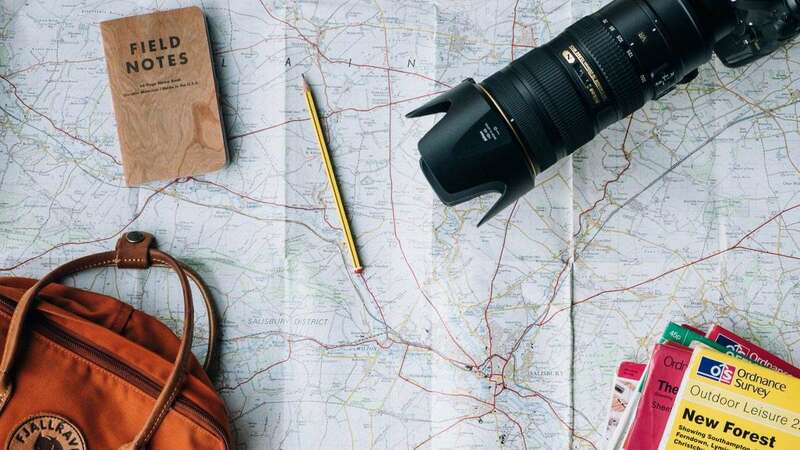 Be sure to cross it off your list first and deal with budgeting the rest of your trip afterward. It also takes an entire day to maximize the theme park experience—lines can get long, and you can look forward to an afternoon parade and an evening fireworks display. Board the train to Sheung Wan District and hunt down the city’s Instagram-famous street art murals. Then you can proceed to Tai Ping Shan Street, where you can visit The Cat Street Gallery for variously themed free exhibits. 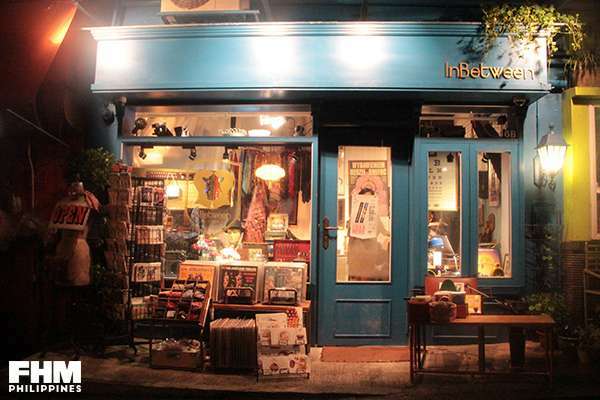 On the same street is a quaint store called InBetween, which sells local crafts, as well as vintage movie posters. Make sure you grab a Tai Ping Shan map from this store so you can enjoy various discounts at the street’s many attractions. Try the drinks at Teakha or Hipster Coffee for a breather, too. On your way to HK’s famed lifestyle lane, Gough Street, you will spot Bang Bang 70s, a specialty store for the luxury thrifter. It has classic and vintage goods from every decade—including designer items, postcards, and fan collectibles. 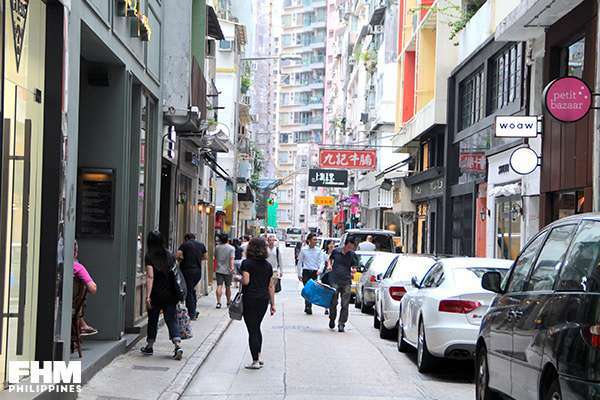 Gough Street is HK’s ultimate lifestyle lane. Grab some coffee in one of the many third wave coffee shops after shopping for cool knickknacks for your apartment. But the real reason for anyone to journey to this street is to get a taste of HK’s best eggette from Oddies Foodies. Oddies’ Night Wolf plays with a hot and cold combination as they try to make the perfect HK dessert—a cup of luscious gelato with a fresh and crisp flavored eggette. Their version of the street-famous waffle has chocolate chips and sits on a bed of multitude flavors—a delectable smooth mix of vanilla and dark chocolate gelato, passionfruit panna cotta for a rich and creamy tang, and crunchy flakes for an alternative texture. 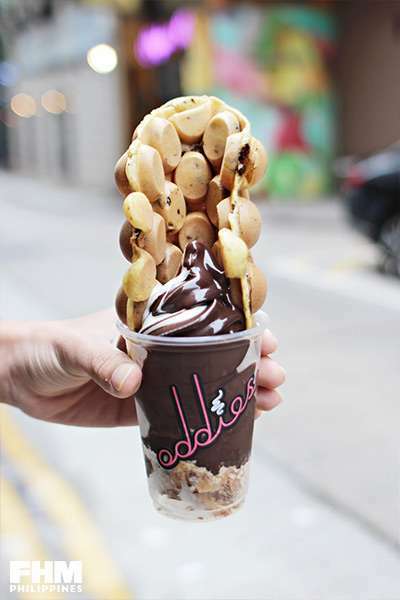 Remember, a HK trip wouldn’t be complete without an Oddies food-run. 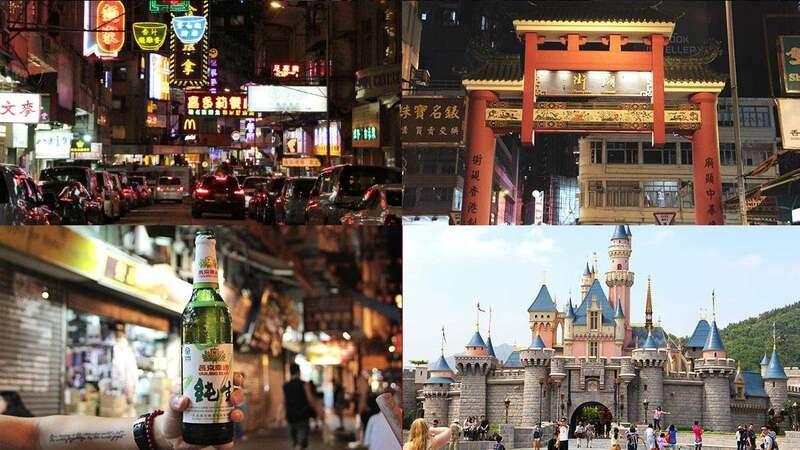 You can also visit the nearby Avenue of Stars and Man Mo Temple in the area. Mong Kok is often visited for its Sneaker Lane. Don’t waste time canvassing for the lowest price for the sneakers you’re eyeing, because, chances are, prices will be the same. So just worry about the availability of your shoe size and preferred colorway when hopping from stall to stall. Done sneaker shopping? Try the street food! It may not be a local HK delicacy, but doesn’t a Panda soft-serve sound delicious after all that sneaker shopping? Maybe you happen to be a Starbucks mug or tumbler collector, too? Mong Kok has one of the prettiest Starbucks branches we’ve seen with a homey all-wood aesthetic and photo-worthy LED signs. Maybe your girl is a Sanrio fan giddy to visit the Hello Kitty Chinese Cuisine restaurant. Here, you can see your favorite Chinese dumplings and buns get a whiskery makeover. Make sure you bring your own bottled drinks, a hot pot of water is worth HK$12 in this restaurant. Jordan is also home to the cultural hub that is Kubrick. The local cafe has no Wi-Fi, insisting that each visit should be spent for leisurely reading and dining. Kubrick has a small book shop, so don’t hesitate to get an anthology by a local writer. The bookstore cafe (with outrageously expensive coffee) is connected to the Broadway Cinematheque, which often hosts film festivals and events every month. No one’s stopping you from watching a local film, or taking home a vintage album poster from their music shop. The nightlife in this district is also quite an experience. 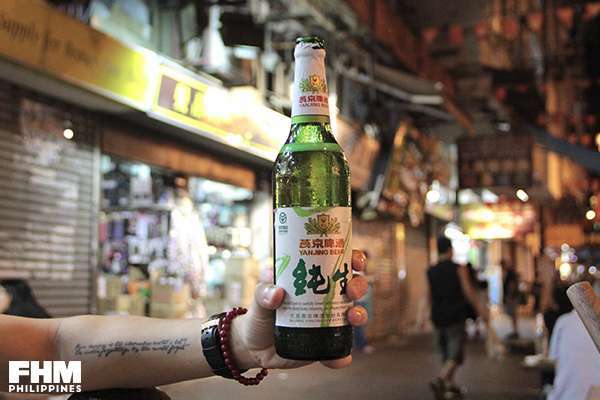 Drink Yanjing Beer, the smoothest (Chinese) beer you’ll ever taste, at the Temple Street Night Market. Dining in HK often has an eat-and-leave protocol, but at the night market, table reservations cost around HK$60, which allows you to take your time talking over food, whether it’s an order of spicy crab or fried wantons. For those curious about their future, visit a fortune teller near the Tin Hau Temple around 7 to 11 p.m. and bargain until they agree to do both the palm and face readings for only HK$200. Don't worry, there are fortune tellers who speak English. Pro tip: Get around the city with an Octopus card. Using it more often gives you bigger discounts on every ride. If you’re not planning to visit HK again in a span of two years, take advantage of the Octopus card’s top-up feature. The card, which costs a HK$150, has a HK$100 in consumable value and will lend you HK$35 once it reaches zero balance. Once you’ve used up this feature, your Octopus card will turn out to be worth HK$15, instead of HK$50. As you travel with HK’s MTR system, make it a point to try some of the items available in Mcdonald’s dessert stalls located near the stations’ exits—they usually have interesting soft-serves!